The debate about the return of the Parthenon Marbles, displayed in the British Museum, in Greece is a hot topic and has repeatedly made the headlines, globally. Does a national or international court have jurisdiction to rule on the dispute? Should these cultural objects be returned to their country of origin? This article introduces the main arguments and examines them from a legal scope, though it is not addressed exclusively to lawyers. This article illustrates certain legal aspects, concerning the Parthenon marbles, popularly known as the “Elgin marbles”. The author approaches this issue from a scientific legal scope and, as a result, historical, cultural and political aspects are not examined, in detail. In addition, this is not a legal opinion per se and it is not addressed, exclusively, to lawyers. Therefore, the author abstains from expressing his views in a formal legal language, when legal terms could be simply explained. The jurisdiction of the court is the first legal issue that the author is going to address. The dispute between Greece and the United Kingdom, regarding the return of the Marbles, may be ruled by the International Court of Justice (ICJ). More specifically, the ICJ is seated in the Hague, Netherlands and it is the primary judicial branch of the United Nations (UN). The court settles legal disputes which are submitted by states, in accordance with international law. The Court is composed of independent elected judges, who are nationals of the contracting parties and is regulated by its constitutional document, the statute. Furthermore, all members of the United Nations are ex officio parties of the ICJ’s statute. According to article 34 of the court’s statute, only states may be parties in cases before the Court. Consequently, the dispute concerning the return of the sculptures may be ruled by the ICJ, since both parties are states, which are bound by the statute (although the formation of an international arbitration court ad hoc is also an option, it is not applicable, since it requires a preliminary agreement between the parties, which has not been signed in this case). In regard with the dispute concerning the marbles, either the parties could sign an agreement and submit the dispute consensually to the ICJ’s jurisdiction or Greece may submit the dispute unilaterally, even if a preliminary agreement isn’t signed. A consensual submission requires the consent of both states, via the signing of an agreement. It should be noted that the content of this agreement is legally challenging and of utmost importance, because it is practically related to the framework within which the dispute is submitted, before the ICJ. In addition, the jurisdiction of the court may be established in advance, through the signing and ratification of bilateral or multilateral treaties, according to which the parties accept the compulsory jurisdiction of the ICJ a priori. Finally, the parties may accept the ICJ’S jurisdiction, via the optional clause of compulsory jurisdiction, under Article 36 par. 2 of the court’s statute. It is noted that both countries have accepted compulsory jurisdiction of the ICJ (specifically, Greece has issued a national law concerning the ICJ’s jurisdiction, in the 90's). In this section, the author focuses on certain –familiar- claims presented by both sides, analyzing substantial counterarguments, where is possible. It should be mentioned that these arguments are mainly supported by international organizations, such as UNESCO, etc., thus they are complicated and stem from different fields of law, such as public international and national law (e.g. property law). As a result numerous objections and counterarguments arise, on multiple levels. All issues should be examined with regard to the (consensual or unilateral) submission of the dispute and the rules of the ICJ. As far as the jurisdiction of the court is concerned, it was previously stated that the ICJ settles legal disputes submitted to it exclusively by states. The parties may submit objections before the ICJ, regarding its jurisdiction, including the claim of “ratione materiae”. Ratione materiae is an objection, which refers to the court's authority to examine a dispute, due to the nature of the case. -L. Elgin “transferred” the ownership of the Marbles to the British government, after he transported them in the UK (the author places the word within quote marks, since the transfer itself is disputable, on the legal basis that Elgin was not the legal owner and therefore not entitled to participate in this transaction). -The British government transferred the marbles to the British Museum, under the Act of 1816, of the British parliament. The legal issue, which emerges in this case, is whether the transfer of the possession of the marbles, under this Act, also involves the transfer of their legal ownership, within the meaning of property law, or whether the transfer did not result to the acquisition of full ownership, by the British Museum. -This matter is rather complicated because the act does not specify the nature of the transfer, requiring interpretative analysis of its content according to English law, regarding property rights, the meaning of legal terms and the conceptual nuance of this “transfer”. As a result, if the ICJ ruled that the British Government could not have transferred the full ownership of the marbles to the British Museum, it will subsequently accept its jurisdiction. On the contrary, if the Court ruled that the British Museum is the sole owner, it will subsequently reject the case, due to lack of jurisdiction, since it may only resolve disputes between states. Regardless the ICJ’s jurisdiction, it is equally important to examine other legal arguments. The author chose to make no reference to certain valid arguments, such as the claim regarding “the unity of the cultural object” (the return of the marbles would restore the unity of the Parthenon), because they are multidimensional and they involve legal, historical and cultural aspects, thus they require separate examination. We should not disregard crucial legal aspects, related to property law, while reviewing the legal status of the detached cultural objects in the British Museum (various legal theories arise, concerning the “unity ” of the marbles. Therefore, Greece’s cultural objects are the main object, while the Marbles are considered constituent parts or accessories, which are indivisible and may not be separated without deterioration of the main part or alternation in their substance). Due to the multifaceted nature of this issue, we should examine the applicability of the above mentioned rules in terms of public international law, as well as the possibility of presenting the previous arguments in the scope of private international law (this argument could be the sole subject of a separate legal opinion by the author). - The lack of ownership by L. Elgin. The argument about military occupation, in simple terms, states that the Ottoman Empire, which was the occupying force in Greece at the time and issued the decision, regarding the transfer of the Marbles’ ownership to L. Elgin, did not have the legal authority for the transfer, because Greece was not an independent state. Moreover, regardless the legal status of the transaction, cultural objects should be restored to their place of origin, after the end of the military occupation. This rule, concerning the return of cultural objects, in similar cases, is also included in the Protocol to the Hague Convention of 1954. This argument should also be examined under the scope of diachronic law, according to which each dispute is subject to the regulations that were in force at the time. The most interesting and perhaps "concrete" argument stems from the examination of the content of the Ottoman Empire’s state act, popularly known as “firman”, which is equated to a "title of ownership"-a theory that is strongly contested. There are numerous reports, referring to the first and the second firman, as well as claims that other additional firmans and subsequent acts exist. A preliminary subject is whether the document that is considered a firman, is indeed a firman. According to studies of the Ottoman Empire’s act, certain standard elements, which would identify the document as a firman, are not included (for instance the document does not contain neither signatures nor certain typical expressions associated with the theocratic nature of the regime). As far as the content of the document is concerned, it is generally accepted that the first firman provides a general authorization, which is not appropriate for the transfer of a right in rem, legally. As for the second firman, it is noted that its “corpus” has not been discovered yet and all legal analysis is based on a translation, in Italian. If a legal document is not preserved, its existence as well as the related property right described therein, can be challenged, due to lack of central proof. Nevertheless, even if we bypass the lack of the corpus of the act, accepting the hypothesis that the translation is accurate, it does not appear to be a property title, according to sources and reports referring to its content. The content of the additional firmans is not mentioned in the majority of legal opinions concerning this subject, and, in any event, they do not appear to constitute proof of an undeniable and legally regulated right of ownership. Finally, the lack of reaction of the Ottoman state during the transport of the marbles out of the country, etc., in the legal scope of a subsequent consent, does not seem to contribute to the establishment of a right in rem, in any way. With regard to the generally accepted rule of the good faith of the purchaser during the transfer, the legal rights of the British Government are disputed. It is certain that the applicable law, so as to examine this argument, is the British law, which was in force during the transfer. Although we should consult British colleagues, regarding the type and the nature of the transfer of ownership of the Marbles from the British Government to the British Museum, according to English law, in 1893, which included previous case law, the acquirer in good faith (in this case the British Government) does not establish legal ownership, despite its goodwill. The author would like to underline that this article is purposely simplified and apologize, in advance, if this has not been achieved at all points, clarifying that certain legal issues and aspects may not have been raised. Moreover, it is apparent that British attorneys should be consulted on legal issues related to English law, especially diachronic law. Furthermore, even though the author is a lawyer and has presented legal arguments regarding the dispute, he believes that the optimal option is an extrajudicial settlement, via the guidance of international organizations or on a purely bilateral basis. Occasionally, these disputes can be resolved in a more effective and progressive manner, if we do not examine them from a legal perspective and we take into consideration political and cultural aspects, in order to reach the optimal solution, which favors both states, as well as the global community. An extrajudicial agreement sets an outstanding example regarding the consensual resolution of future transnational disputes, between other states. It is evident that all states respect United Kingdom for its history and its outstanding contribution to cultural progress, internationally. 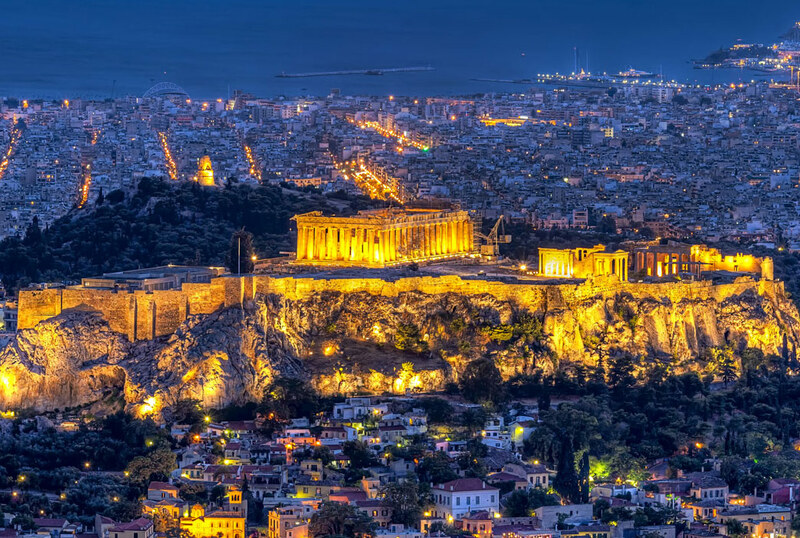 Moreover, all states recognize the greatness of the ancient Greek culture, its inextricable link with the Greek state and population and its legal rights, as well as Greece’s remarkable contribution to international cultural civilization, nowadays. The two states should engage in a creative discussion, in the spirit of cooperation, good faith and strong will, supported by their lasting cooperation and partnership, in order to reach a mutually acceptable solution.